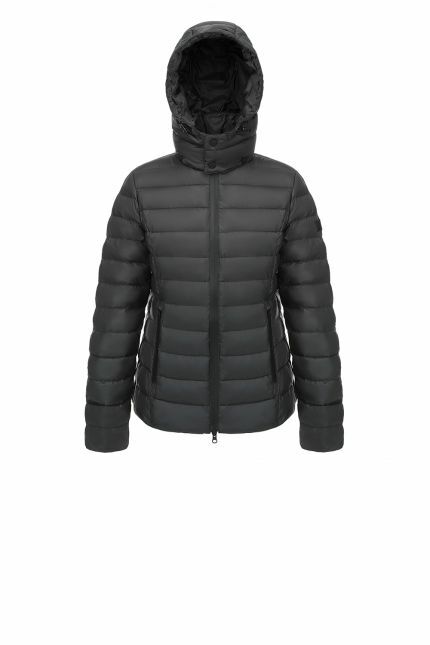 Hetregó Heli grey down cape is the perfect piece of outerwear for ladies who want to look both casual and smart. 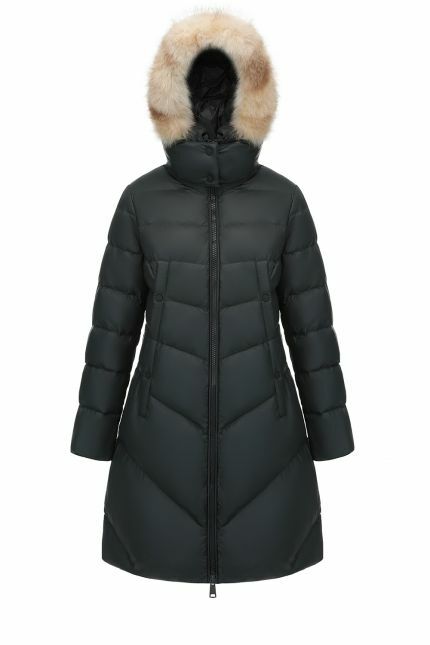 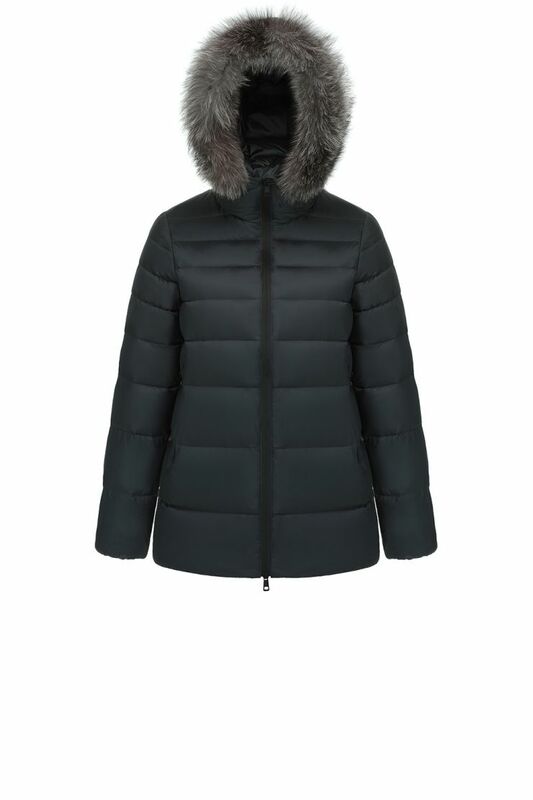 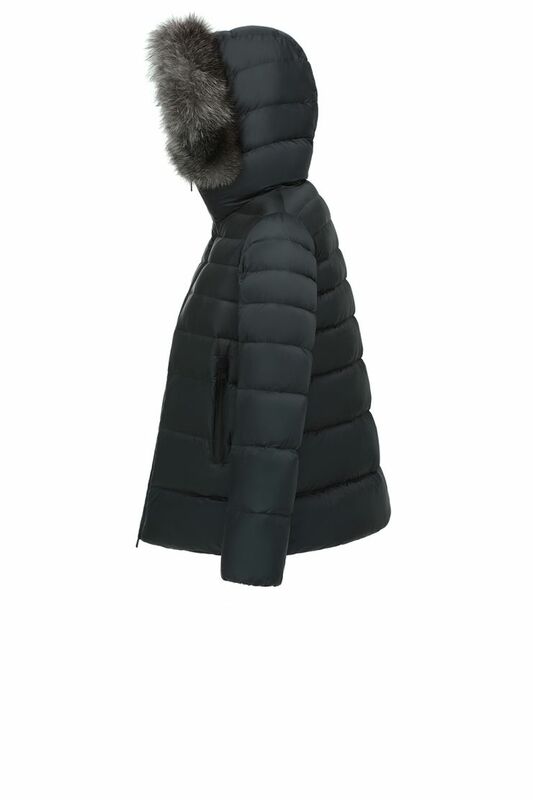 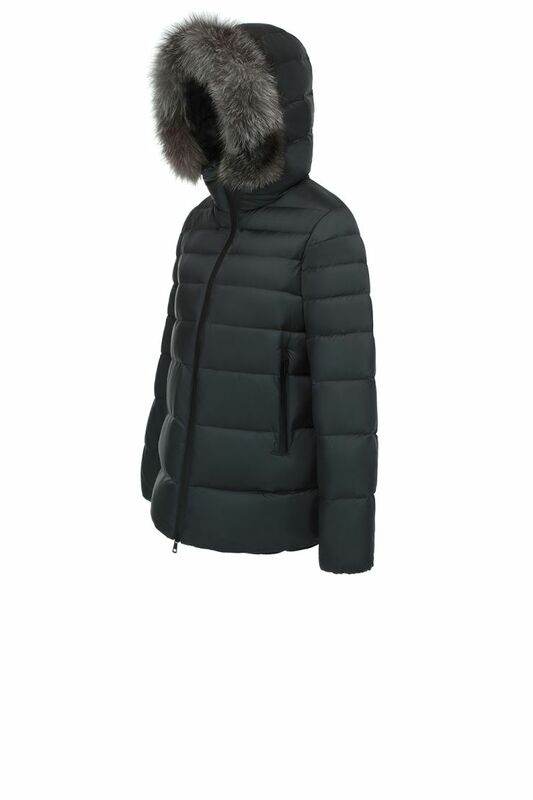 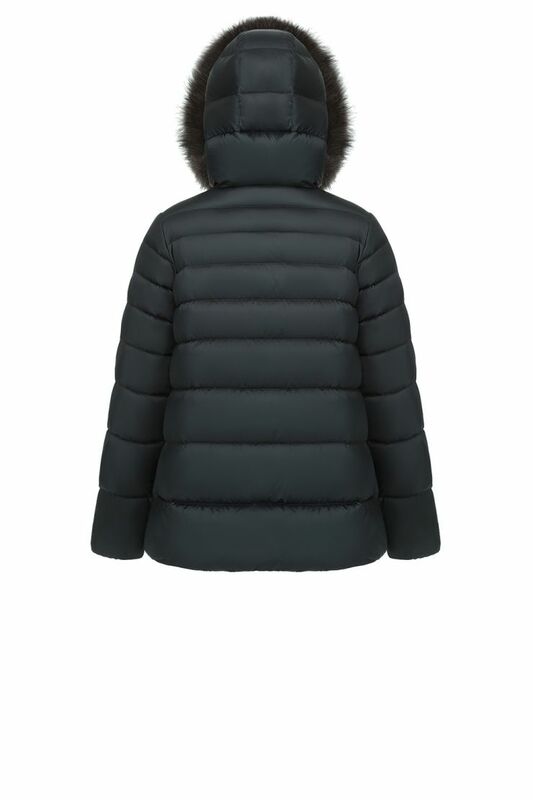 Ideal for mild winters if you wish to wear it over a blouse and suitable for cold temperatures over a wool jumper, this jacket features a central two-way zipper and two side zipped pockets. 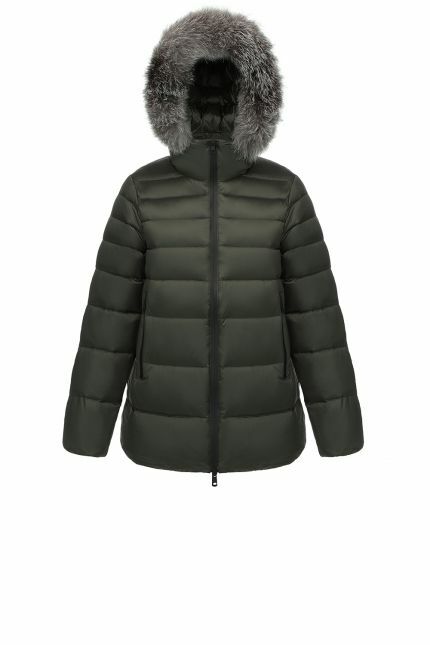 The grey fox trim hood adds a touch of luxury to this jacket with fixed hood: a versatile piece of outerwear suitable to be worn from day to night. 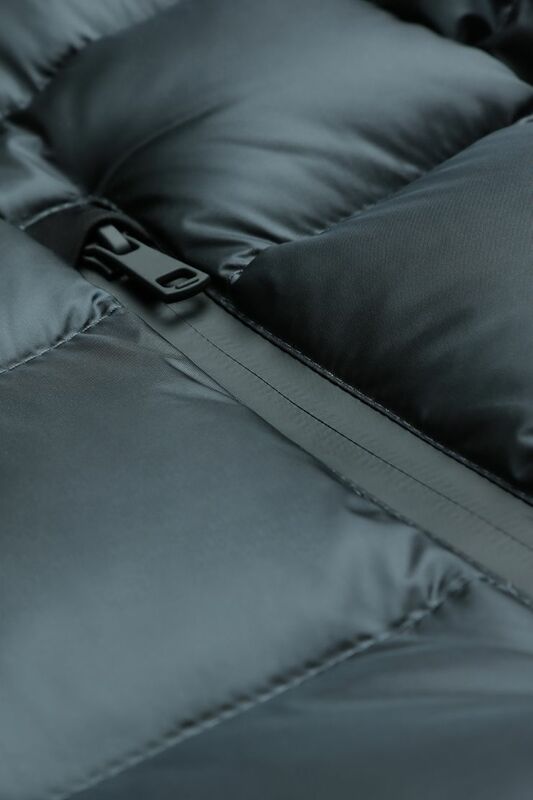 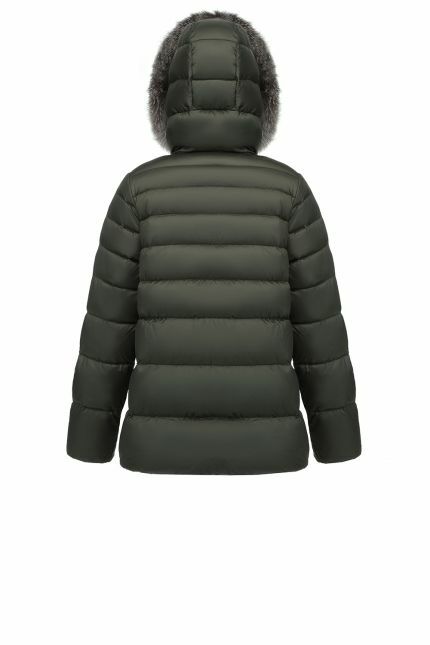 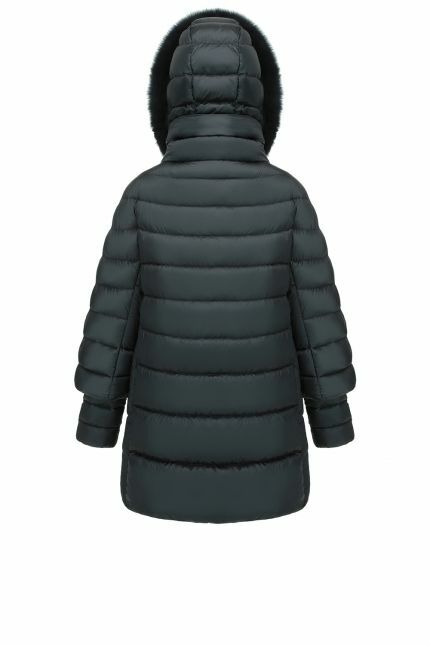 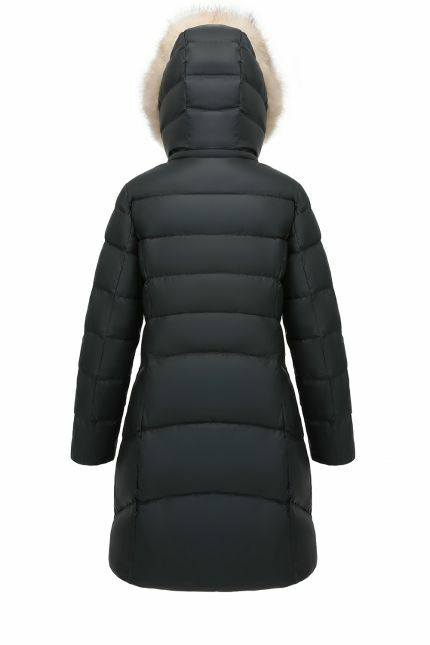 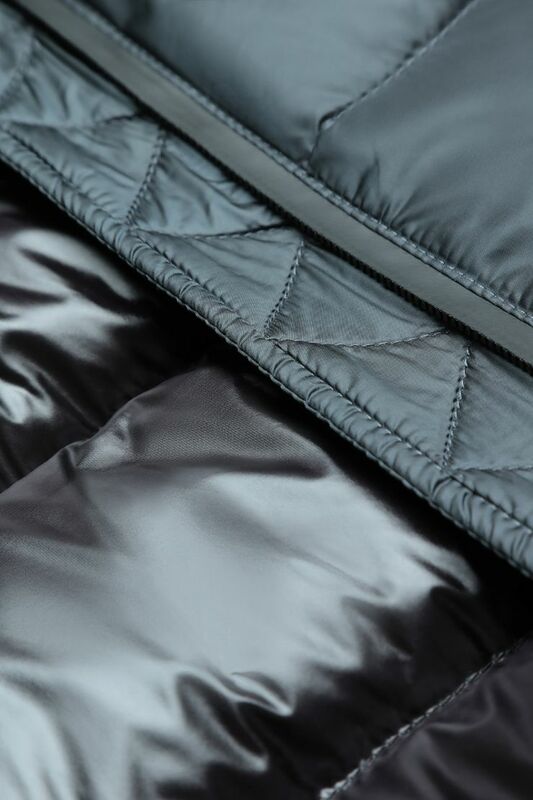 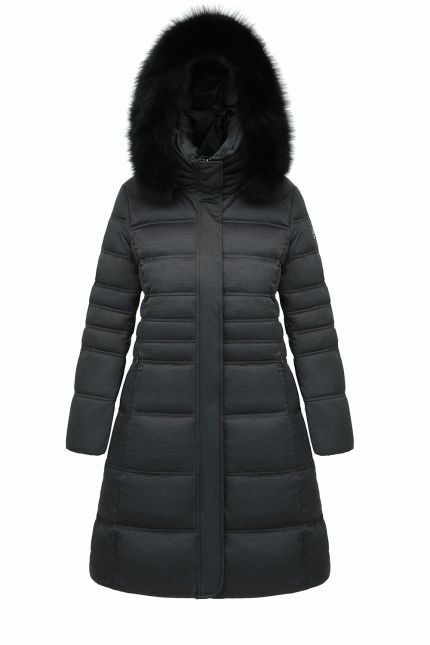 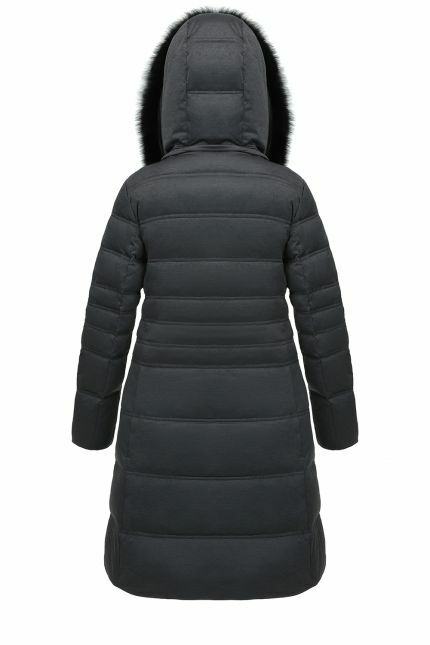 Water repellent and windproof, Heli is a down A-line coat that suits curvy, plus size or petite.